How to Calculate tolerance values for shaft or a hole? In machine Design, each machine member will be mated with another machine member with the defined fit. There are the different type of fits available. They are Clearance Interference, Transition fits. These fits are controlled with some Tolerances and allowances according to some Standards. Actually, these tolerances values can be calculated. 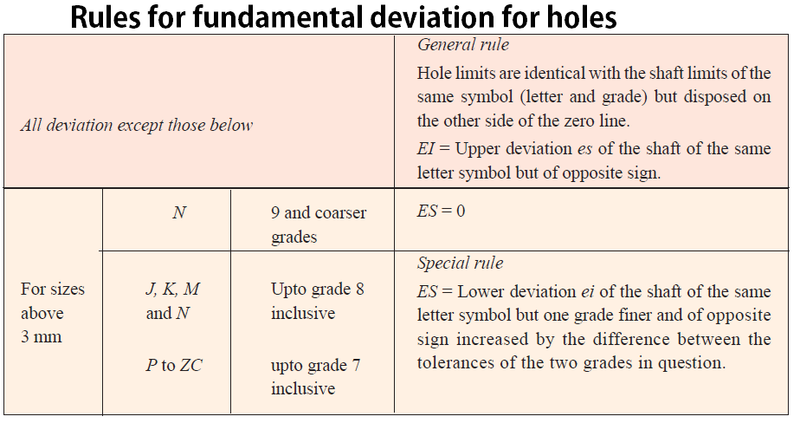 According to Indian Standard system of limits and Fits, we have tolerance grades and relative magnitudes, Fundamental deviations. With the help of these, we can calculate the tolerances for the hole or shaft. To begin with the calculation of hole or shaft tolerances we must understand what is a fundamental deviation. The fundamental deviation is an allowance rather than tolerance. The allowance is simply the deviation between the hole minimum diameter to the shaft maximum diameter. According to Indian standard system of limits and fits, there are total 18 International Tolerance(IT) grades. These grades determine the tolerances for the given designated shaft value. 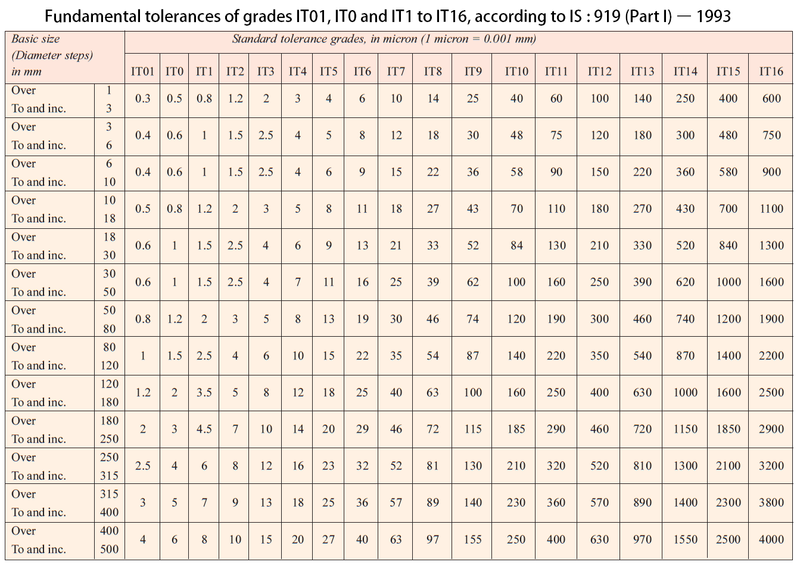 The following are the International tolerance grades. But how we will use this tolerance grades? Here is how we use these grades. The tolerance values will be calculated with the help of the relevant magnitude given below. Let’s see how we can calculate Tolerances and the Fundamental deviations for the Hole or a Shaft. IT may be noted that the shafts from a to h, the upper deviation are considered, whereas the shafts j to zc, The lower deviation will be considered. 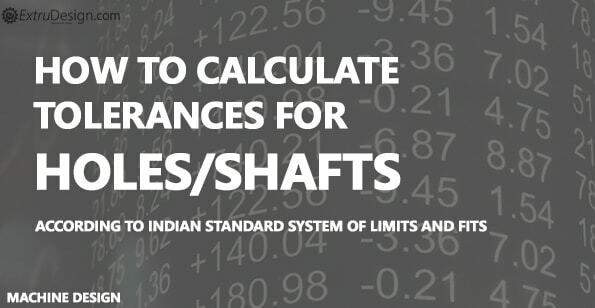 Problem: Calculate the tolerances, Fundamental Deviations and limits of sizes for the shaft designated as 40H8/f7. Hello! Thank you for the explanation! One thing I want to point out is that I think there is a typo in the first line of the topic 1. 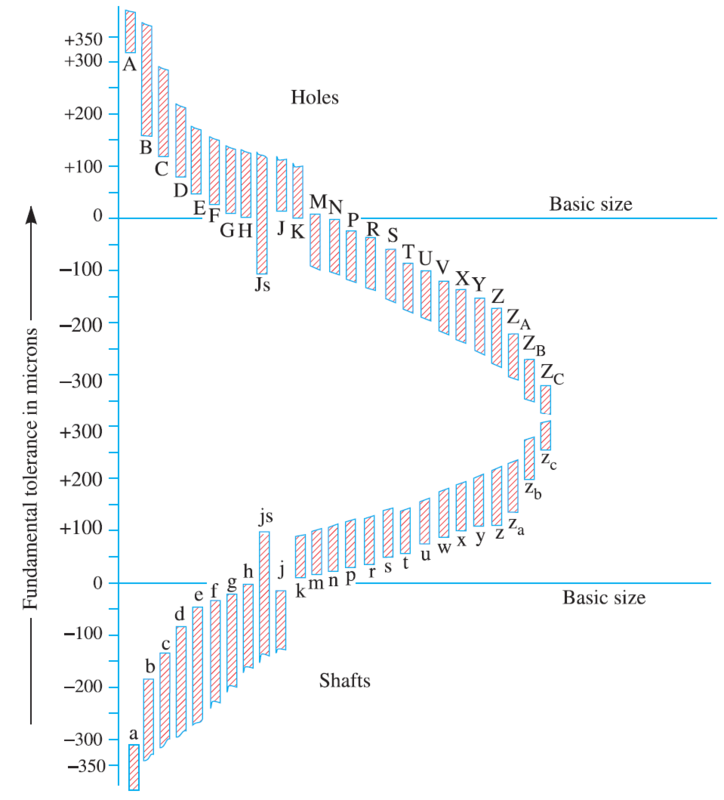 (a) “Calculation of Fundamental Deviation of Shafts”. 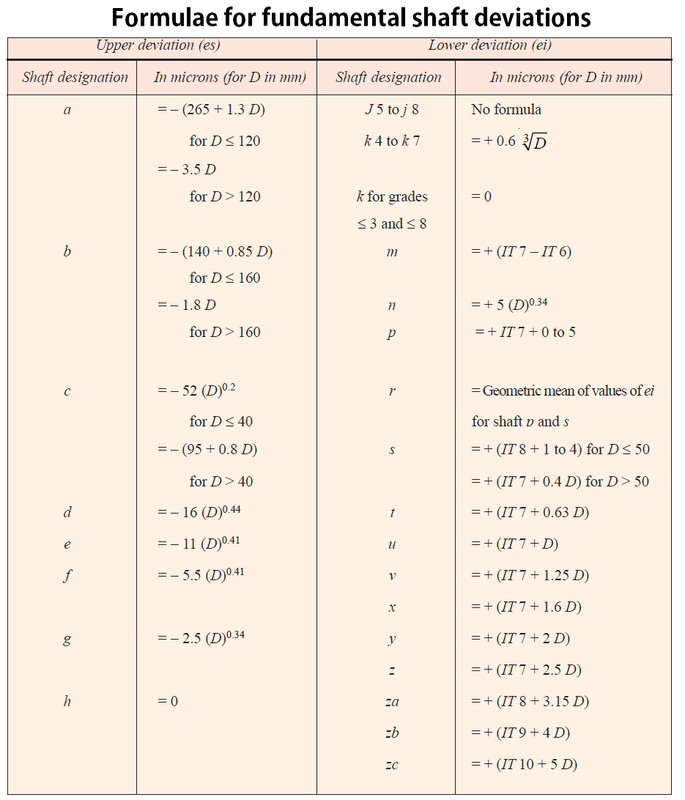 Instead of “The upper deviation and the lower deviation for the shafts are represented as ei, es”, there should be written – “The upper deviation and the lower deviation for the shafts are represented as es, ei (respectively)”. As written correctly in the table 2, the upper deviation of the shaft is es and the lower one is ei. That’s a good observation Saksham Kumar. Really helpful. I have corrected it.